Celebrate 80 years with the Strand this Week! 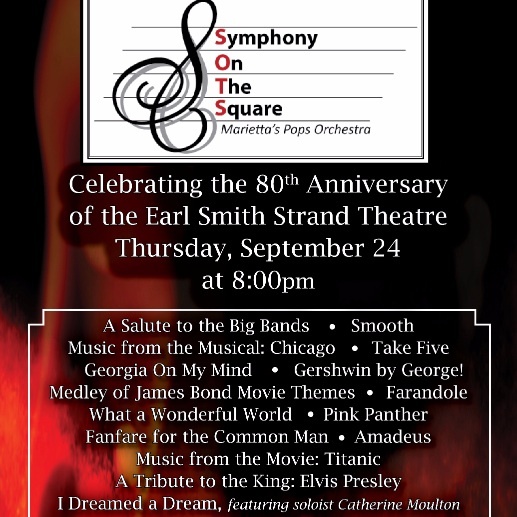 Marietta’s own local orchestra presents a special live concert on The Earl Smith Strand Theatre stage! Symphony on the Square was founded by Dr. Paul Hill in the Spring of 2010 as a community orchestra both created by and for the citizens of Marietta. With overwhelming support from its patrons, the Symphony on The Square has found success on The Strand stage in sold out performances. Look forward to the rich and beautiful sounds of orchestral music and featured soloists Catherine Moulton and Oral Moses. The September concert will feature music from Les Miserables, Westside Story, Titanic, and more. Tickets are assigned seating and $20, or $25 for limited VIP tickets. VIP tickets include a meet and greet dessert reception with the orchestra members after the performance. Visit www.earlsmithstrand.org for more information and tickets. Got the itch to glitz? How does a night filled with casino games, drinks, great food, and live shows sound? To cap off our weekend of birthday celebrations, The Strand will be transformed into a classic Vegas styled casino. The Rat Pack Now will have shows running throughout the evening, so go at your own pace and choose when you want to party, when you want to be entertained, and when you want to flirt with lady luck! 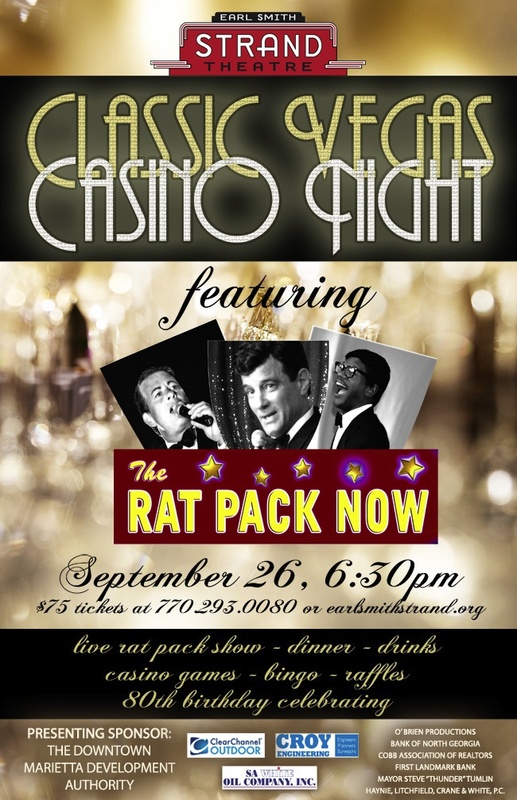 Tickets are $75 and include the live rat pack tribute show, a night full of games, a raffle ticket, and dinner and a drink. All proceeds from this event go to support to operational programming of The Strand. Visit www.earlsmithstrand.org for more information and tickets.